When the Melbourne Cup is run it will be right on lunch time in Perth. This is the perfect time to plan to enjoy some quality time with work friends or family. 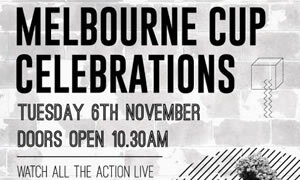 Perth venues embrace the celebration that is the running of the Melbourne Cup and whips will be cracking with these ideas and venue parties. 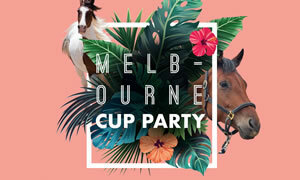 The ideas we have for Melbourne Cup Day in Perth are varied and diverse including options in Perth CBD and out of town West on Rottnest Island and out East at the Vines Resort. 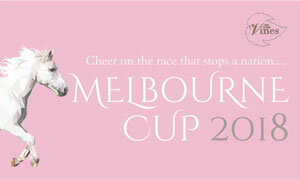 Some ideas are for Melbourne Cup Day lunch and others are parties and functions including Cup Eve. All it needs is for you to pick a winner! 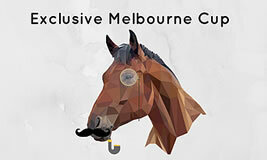 Giddy up Perth people and enjoy these Melbourne Cup Day fun options of restaurants and ideas of things to do! Hurry up and get out of the barrier so you don't have to jockey for positions as many will sell out. Cheer on your favourite at the Vines Resort. Indulge in a mouth watering 3 course lunch with glass of bubbles on arrival. There'll be plenty of sweeps to join and best dressed, best hat and lucky door prizes. 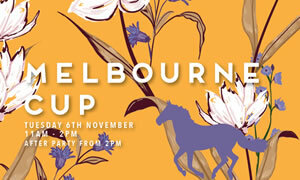 Party through the Cup Day festivities at The Aviary. You won't miss any of the action with the races LIVE & loud on the big screens. The day will be packed with entertainment, sweepstakes and even prizes for best dressed. Plus a Chandon S Summer Cocktail on arrival and roving canapes. 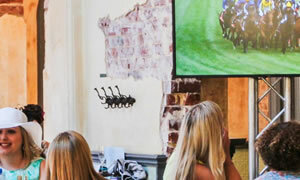 Celebrate the race that stops the nation at the Guildford this Melbourne Cup Day as you watch the races in a casual atmosphere with roving sweekstakes. Enjoy the simplest pleasures this Cup Day and enjoy a day out on WA's favourite Island. There is always lots to do and experience on the island, from paddle boarding and snorkelling to walking tours and gold. A whole island to explore. 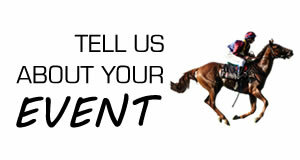 Once Melbourne Cup Day is over people in Perth have thoughts to their own Perth Cup on New Years Day. They also think about Christmas parties and the Biggest of the Big Days, New Year's Eve. To checkout ideas for Chrsitmas Parties and Christmas Day Lunches see Christmas Day Perth! And with December arriving soon it indicates New Year's Eve on the 31st December is coming quickly. For all the best NYE events in Perth. See NYE Perth!